Sometimes when we are watching TV together, and an ad for a new drug comes on screen, my kids will ask, ‘Mom did you work on that?’ Sometimes I can say, yes I did! 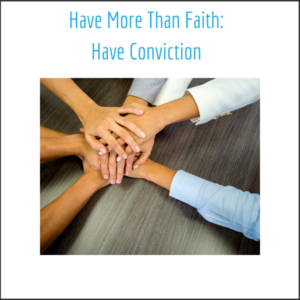 My first step as an entrepreneur was made on faith. Now that my first step has not sent me tumbling off a cliff, I am slowly discovering what the journey of entrepreneurship truly means. LMK was my first business. I have a degree in health-care administration. I wanted to be an administrator for facilities like nursing homes. Despite that my story is different than I anticipated, I had the belief I could be a leader and was blessed with the insight to recognize the problem I could truly tackle. As I pursue a greater understanding of leadership, I always strive to keep clear correspondence between my personal ambitions and the goals of the LMK. But even though a business and its leader are two different things, I try and make sure we are united in one narrative. The goals I set for LMK, to be appropriate and powerful, must fit into the framework of my life and the lives of my employees. My business, to be successful, must nourish the community around it—just as the community looks out for LMK. What I experience every day, what I see in my community and country, and what I desire for my children will (and must) influence what I aspire for my business to achieve. This desire for a unified narrative, consistency in action, and commitment to universal values is the reason why LMK is proud to be a Women’s Business Enterprise National Council (WBENC) certified business. It is also why I am so excited to attend the upcoming WBENC 2018 National Conference & Business Fair in Detroit. WBENC’s mission is to support women owned and diverse businesses through their CORE platform: certification, opportunities, resources, and engagement. This platform, which begins with a business’ certification, takes flight through tools which aid the success of women everywhere: access to opportunities (like the upcoming conference), resources supporting the lifecycle of entrepreneurship, and above all, shared ownership of a united voice that provokes the engagement of all those who share WBENC’s ideals. When asked to talk or write about my experiences as a woman who owns a business, I think I often find myself reaching for the same word: faith. But as I embrace my role as a leader, I don’t think faith really explains my story well. Faith means trust, confidence, and conviction. Faith does not exist in a vacuum. Faith comes from belief and is expressed through action. Maybe that belief begins with the small recognition that your mother can have something to do with the drug advertisement on the TV, but with time, this small belief can grow into the kind of conviction that turns an idea into a business. I look forward to joining with a community that shares this sentiment in Detroit. Please don’t hesitate to reach out if you’d like to learn more about how LMK’s mission is united with the mission of WBENC.